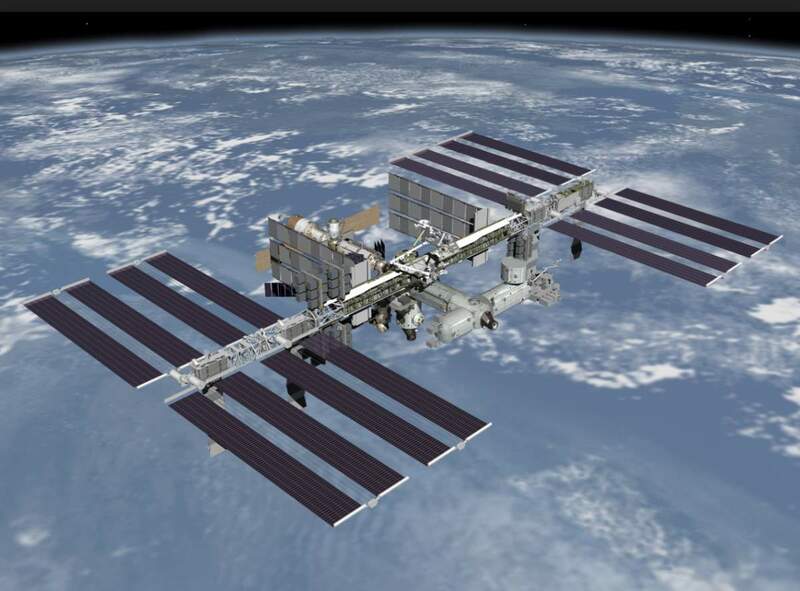 International Space Station (ISS): The coldest place in the known Universe. NASA’s Cold Atom Lab produce clouds of ultra-cold atoms aboard the International Space Station to perform quantum physics experiments in microgravity. Atoms are chilled to about one 10 billionth of a degree above Absolute Zero, or about 10 billion times colder than the average temperature of deep space. At those temperatures, atoms behave in strange ways, allowing scientists to investigate the fundamental nature of matter. CAL is a multiuser facility dedicated to the study of fundamental laws of nature using ultracold quantum gases in microgravity. Cold atoms are long-lived, precisely controlled quantum particles that provide an ideal platform for the study of quantum phenomena and potential applications of quantum technologies. This NASA facility is the first of its kind in space. It is designed to advance scientists’ ability to make precision measurements of gravity, probing long-standing problems in quantum physics (the study of the universe at the very smallest scales), and exploring the wavelike nature of matter. Inside the Cold Atom Lab, scientists use lasers and magnetic traps to slow atoms down until they are almost motionless.Notes 1 Then, the atoms can form a distinct state of matter called Bose-Einstein condensate (BEC). Notes 2 In this state, the wave characteristics of matter become more noticeable. BECs make it possible for researchers to probe the fundamental nature of matter. Hundreds of BEC experiments exist on Earth, but on the International Space Station, free from the pull of gravity, scientists will be able to observe BECs for much longer than what is possible on Earth, and reach even colder temperatures than what is typically achieved on the ground. The Cold Atom Lab will move scientists another step closer to solving some of the biggest mysteries in the universe, such as understanding the nature of dark matter and dark energy and solving the disagreement between quantum mechanics and the theory of gravity. Research done on CAL can also have practical applications, such as making improvements to atomic clock technologies, which are used in spacecraft navigation, as well as the GPS satellites that provide navigation information to devices like smartphones. CAL research could also lead to improvements to quantum sensors used for remote sensing on spacecraft. These sensors can be used for a variety of applications, including monitoring Earth’s changing climate and remotely studying the internal makeup of planets and asteroids. According to the Guinness Book of World Records, besides laboratory-created temperatures, “the coldest place in the universe is in the Boomerang Nebula, a cloud of dust and gases 5,000 light years from Earth. It has a temperature of -272°C (-457.6°F). It is formed by the rapid expansion of gas and dust flowing away from its central aging star. This cold region of the nebula was discovered in 1995 by astronomers using from data obtained by the 49 ft wide Swedish-European Space Observatory-Submillimeter radio telescope in La Silla, Chile. In the areas coldest spots, the gases are believed to be expanding at 370,000 mph (595,457 km/h or 165,404.8 meters per second). Absolute zero is the lower limit of any possible temperature. Nothing can be cooler than it – in fact, it is unreachable. More scientifically, it is the lower limit of the thermodynamic temperature scale, a state at which the enthalpy and entropy of a cooled ideal gas reach its minimum value, taken as 0. Absolute zero is the point at which the fundamental particles of nature have minimal vibrational motion, retaining only quantum mechanical, zero-point energy-induced particle motion. It is taken as -273.15°C (−459.67°F), which is determined by extrapolating the ideal gas law. The corresponding Kelvin and Rankine temperature scales set their zero points at absolute zero by definition. A Bose-Einstein condensate (BEC) is a state of matter of a dilute gas of bosons cooled to temperatures very close to absolute zero.Notes 1 Under such conditions, a large fraction of bosons occupy the lowest quantum state, at which point microscopic quantum phenomena, particularly wavefunction interference, become apparent. A BEC is formed by cooling a gas of extremely low density, about one-hundred-thousandth the density of normal air, to ultra-low temperatures. This state was first predicted, generally, in 1924-25 by the Indian physicist Satyendra Nath Bose (1 January 1894 – 4 February 1974) and Albert Einstein.